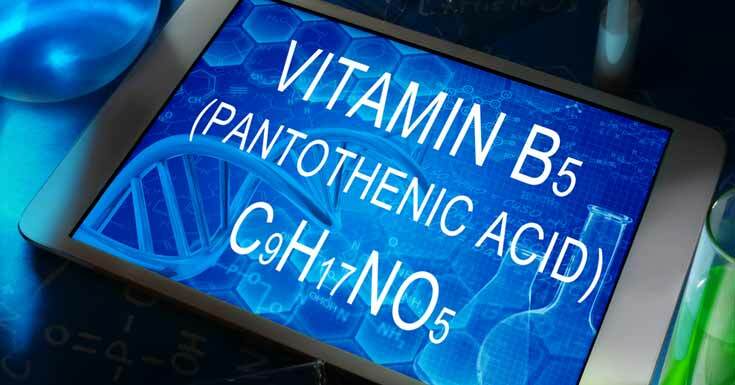 Pantothenic acid is a water-soluble vitamin and is known mainly by the name of Vitamin B5. It is something that can be found in both plants and animals. For a lot of animals, Pantothenic acid is a necessary nutrient. Animals do need this essential acid to synthesize coenzyme-A, as well as, to synthesize and metabolize other things. Some of these other things do include proteins, fats, and carbohydrates. These acids can also be found in meats, eggs, cereal grains, milk, and vegetables. They can be found in supplements as well, in addition. Therefore, they are plentiful in number, and one can get them in various ways. 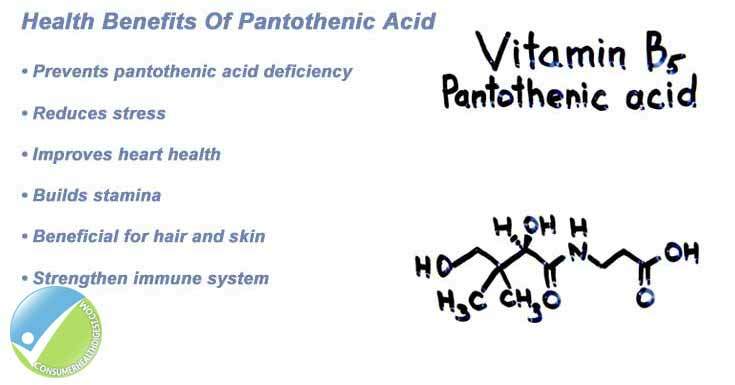 Pantothenic acids come from nature and the earth. They are all natural minerals and they exist in many things from plants to animals to food stuff to beyond. It is know historically as being Vitamin B5 and it is one of the most important of all B vitamins out there. It is used mainly for the basic processes of living and for building good health. Pantothenic acids makes it possible to use fats, proteins, and carbohydrates to be energy sources. These acids are also necessary for producing hormones and keeping one’s immune functional and very strong. Pantothenic acid is a B vitamin, and as a B vitamin, it is something which does promote and is essential for a number of varying processes. Some of these processes do include helping to convert food into energy to making sure one has healthy nails, skin, and hair. A derivative of Pantothenic acid has been found to being very successful in helping to lower LDL cholesterol, which is the bad form of cholesterol, and this is just one of its many possible health rewards for all. What are the Potential Side Effects of Pantothenic Acids? There are very few adverse reactions that do take place from taking pantothenic acids. The recommended dosage for adults is 5 mg per day. If a dosage of more than this is taken. There is a chance that the person can develop a case of diarrhea as a result. This is because pantothenic acid can increase the motility of the intestinal tract. If a person takes this supplement, and has a stomach blockage of any kind, it can just worsen the condition. Those who have an existing blood disorder, such as hemophilia for instance, can experience an increased risk of bleeding after taking this vitamin supplement. The doses and timing for this kind of vitamin can be different when used for different purposes. However, the general, and recommended dosage as a supplement for adults is at 5 mg each day. However, as a dietary supplement, the dosage can be anywhere from 5 to 10 mg per day. It is 6 mg per day for pregnant women. Women who are breastfeeding, the recommended dosage is 7 mg. Men and women 14 years and older is it 5 mg. Babies from 0 to 6 months is 1.7 mg per day. Babies from 7 months to 12 months is 1.8 mg. Children 1 to 3 years old is 2 mg, children from 4 to 8 is 3 mg, and children from 9 to 13 is 4 mg per day. The use of Pantothenic acids in supplements does vary greatly from person to person. Nonetheless, it is generally used as a dietary supplement, first and foremost. It can also be used in supplements to treat Vitamin B5 deficiencies. It is also used as treatment for alcoholism, allergies, asthma, ADHD, baldness, burning feet syndrome, yeast infections, heart failure, the list goes on. Pantothenic acid has many healthful uses that are tied in with supplements. This health supplement has very few known interactions. It is a water-soluble vitamin and just like any vitamin. You don’t want to take well over the amount of the recommended dosage unless you are being prescribed to do so by a doctor for a vitamin deficiency or other health issue. Overall, Pantothenic Acid is very good for the health of you, and the health of your life. This vitamin is one of the central of all B vitamins and it is required as an essential for good health and promoting good health.